Aggghhh! 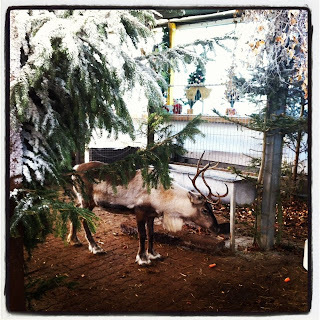 Fab – we saw reindeer on our local town's Xmas parade on Friday! Very festive, but he looks a little out of place! I wonder what he's thinking? @Penny: he was probably sick of everyone trying to shove carrots down his throat! Love the picture. It looks very Christmassy.